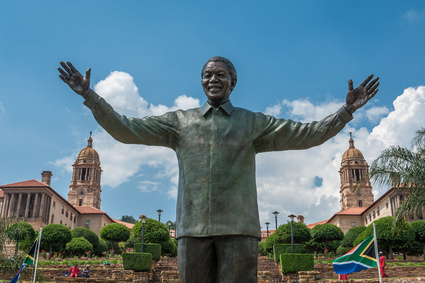 The South African relatives visa is open to application for those who are either first or second kin to a South African Citizen or Permanent Residence holder. This can be defined as parents, children, spouse, or siblings. First kin applicants should read more here on the relatives permit. It is a temporary residence application based upon the relationship and the evidence of the relative applicants ability to sustain themselves. Below we look at the requirements for a relatives visa. For those who would rather speak with one of our immigration team and take advantage of our one of our free consultations, either call us on the numbers above or request a call back here. Department of Home Affairs application fee of ZAR 425. The applicants unabridged birth certificate or authenticated copy thereof. Biometrics (taken at the place of submission). Where applicable, a yellow fever vaccination certificate. A radiological reports where over the age of 12. Proof of financial support showing the required ZAR 8,500 per month. Proof of South African citizen/Permanent residency status of the relation in South African. Proof of the second kinship to the South African Citizen/Permanent Resident. The applicant themselves must present the application. Where can the relatives visa application be made? If you already hold a valid visa (90 days plus and not a tourist visa), you may make your application in South Africa. If you do not hold a short term visa (90 days or less, a tourist visa) then you must make your application outside of South Africa. Relative Visa South Africa – Do you meet the requirements? As South Africa’s only immigration company offering its clients the security of being ISO 9001 accredited, our Intergate team is well placed to help. We have an unrivalled track record in successful applications (6000 plus and counting) and we pride ourselves on ensuring you have all the right information to make informed decisions.